Please let it be good, please please please! What? Final Fantasy Tactics art and characters? Just take my money Square-Enix! The thing that is really nice about the cards in general is that they have a very light or no background so that the art is not ‘too busy’ like a lot of the full-art japanese style CCG’s, it’s more aesthetically pleasing IMHO. It allows you to appreciate the central character more and have the other text and numbers on the card look less cumbersome, distracting and allows you to focus more on where you need to. It’s supposed to be available at this very moment, so why not give it a try? Finally, what great looking product would be complete without a very sweet playmat? It’s been really hard to break into the CCG market for newer games lately, since the late 2000’s were flooded with them. 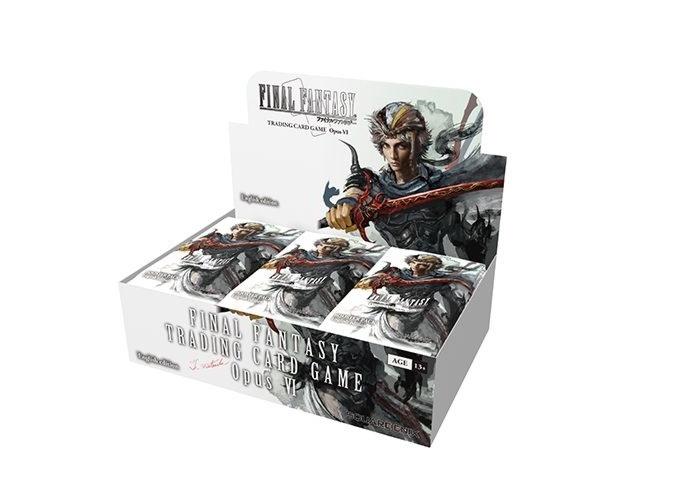 Hopefully, Final Fantasy TCG will break this curse and continue for some time. Considering the license it’s based off of is fairly healthy and still pretty relevant, it should have a decent chance. It has that cool nostalgic feeling thus far and can continue to expand as future editions of the Final Fantasy videogame do.